I've been busy these days making puzzles. Making puzzles is not my hobby, it's my husband's and my business that was started in July 2016. We are not puzzle collectors but love to make and play puzzles. When we were small, we both liked to make things. 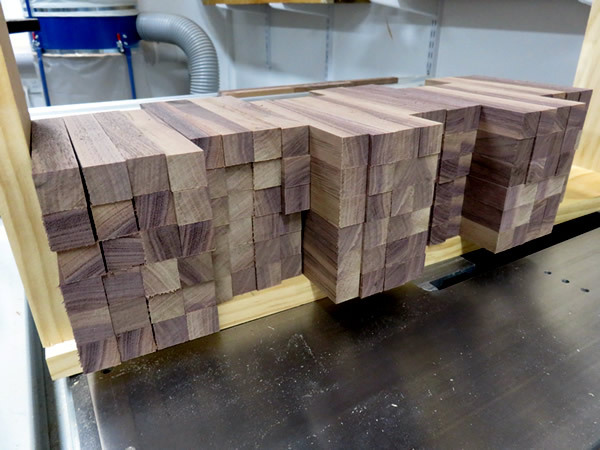 My husband started making his original puzzles when he was small, and he acquired the knowledge of timber and how to use tools. I was a child with a questioning mind and tried to make anything I was interested in. I like puzzles or something related to puzzles. So that the business of making puzzles is a suitable job for the two of us, don't you think so? We have decided that we are going to make and sell puzzles that were designed by my husband. We would like to run our business with our original puzzles. We have already started selling a polyhedral model called "Juno's Spinner" on eBay. Actually, that is not a puzzle, that is a kind of polyhedron but it's also one of the originals. Our first puzzle products are under progress now. 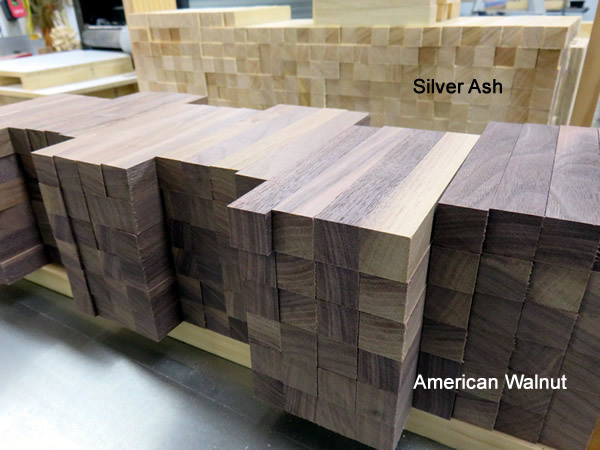 We have chosen beautiful white colored wood, Silver Ash and dark American Walnut wood for the first puzzles (See the pictures below). These two colours are a nice combination and make our first puzzles look beautiful. Unfortunately, we are not able to show you a picture of the first puzzle yet. I can only say that we are making the puzzles which are connected with a polyhedron. I think it's a very difficult puzzle. If you are a kind of man who likes to challenge difficulties, you should try. When they are ready for selling, I will let you know by this blog and my twitter account (https://twitter.com/pluredro_shop). I'm hoping that my puzzle friends will like our first puzzles.